The Manchester band join The Cure and Foo Fighters at Bellahouston Park. Headliner: The 1975 will perform in Glasgow next year. 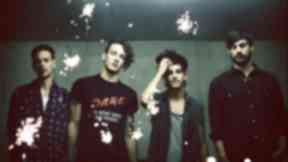 The 1975 have been announced as the third headliner for next year's Glasgow Summer Sessions. The Manchester band will perform at Bellahouston Park on Sunday, August 25, 2019. They will be joined by Twin Atlantic, You Me At Six, Pale Waves, Ten Tonnes and No Rome. The Cure and Foo Fighters will also headline the city centre festival on Friday, August 16, and Saturday, August 17. 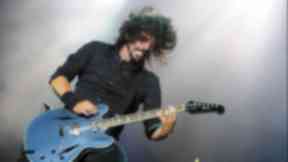 Rocker: Foo Fighters will also perform. The mammoth 2019 bill also includes Mogwai, The Twilight Sad and The Joy Formidable. Geoff Ellis, CEO of DF Concerts, said: "We're thrilled to announce The 1975 as the third headliner for next year's Glasgow Summer Sessions, and with Twin Atlantic, You Me At Six, Pale Waves, Ten Tonnes and No Rome all on the bill, fans are in for a treat. "From post-punk icons, The Cure, to the return of rock legends, Foo Fighters, and one of the biggest bands of the new generation, The 1975, this will be a festival to remember." Sam McTrusty from Twin Atlantic added: "Looking forward to playing new music in our home city next summer with our friends The 1975."